Tech News, Mobile, and Gadgets Reviews, and Comparision. Android P is the most exciting Update among all of the others, It’s was launched in Google I/O 2018 among with AI feature and machine learning in Google Assistant which made that event very exciting. 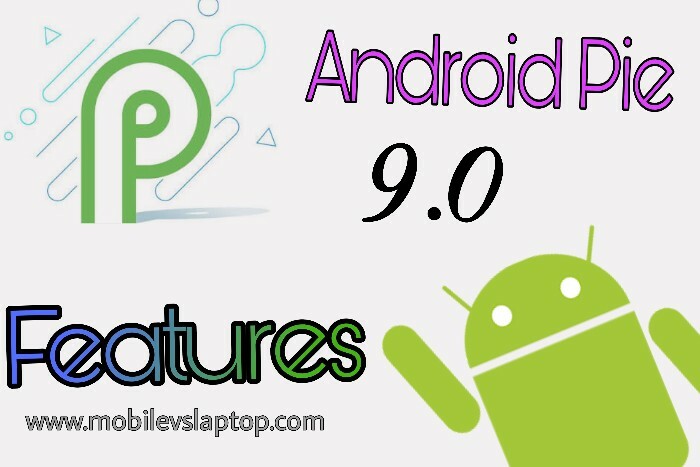 At that time it was only in beta which was available for few selected Android devices, but now it’s stable version is launched globally and without giving any hints Google cleverly named it as Android Pie which is out of all our expectations. Android Pie is truly based on AI and Machine Learning, which is optimized for better battery life and smooth performance. 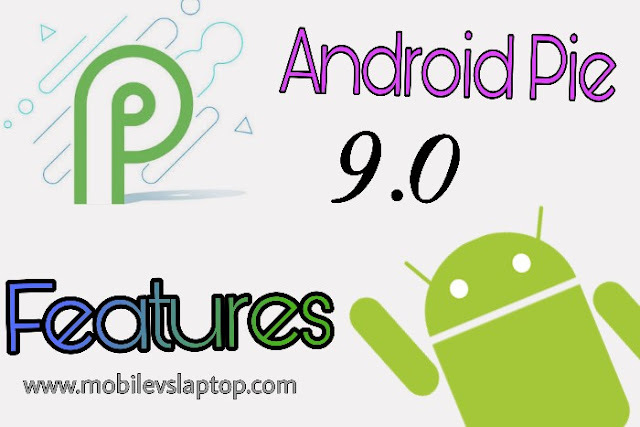 Android P including various exciting features which is helpful to Android User and Some of Best features of Android Pie 9.0. Dashboard: Once you start using your phone you actually don’t know what is happening in the world, You usually starts from clicking selfie and browsing random app and check out the stories of your friends across all social media which takes lots of time and some person spent their time throughout the day. Google feels it is very bad and introduce Dashboard features in setting section on your Android phone to get control over your day to day activities in your phone that which App do you like use more and which you don’t, All this kind of tracking can be done through this feature. Gesture Navigation System: Google has changed the way you navigate between different apps by introducing New Gesture Navigation System in Android P which is inspired by iPhone X. Instead of having three buttons in home screen for Navigation, In Android P you have an option use single Button in Middle below the screen which is multi-functional. If you swipe up you will get your recent apps along with a UI that suggests an app which you might use, Whether you swipe far left and right the device will showcase recent app to switch in between as you slide it. App Timer: App Timer is the step taken by Google towards the digital well being in Android P. App Timer is a great feature which allows you to set timer to a particular app which you are using for longer period of time to prevent this you set up a time limit to an app and after the limit a pop-up message will be popped on your screen that you have Crossed your limit, so that you can choose to close the app and improve productivity. Notch Support: iPhone X Comes with a cut-out display at the top for the camera and other sensors called has Notch Design which has created the trend that all other Android manufacturers started copying the notch design so that Google has adopted its feature to support the end to end display support. These new options enable a different type of dimension like toller, has more width, and for water drop ‘V’ shaped notch. this option can be found after enabling the Developer Option in Android Settings, Follows Developer option> Drawings>Simulate the display with a cutout. App Actions: App Actions is the most convenient feature of Android P that help you smart your actions on your phone by giving smart suggestion according to usage pattern recorded. For instance, when you click a selfie you have a suggestion to share that pics on Social Media usually which you use most of the time note that the social media also suggest according to your usage pattern. Also, all this type of suggestions can be seen throughout OS such as Smart Text Selection, the play store, the google search app and the Google Assistant. Zoom In-Text: When you are typing something you accidentally type another button instead of one button, because of smaller display and congested keyboard. therefore to get rid of this silly mistakes in Android P you get an option to Zoom In the text where you are typing which is a deal breaker. Actually, when you long press a word, it automatically magnifies at the pointer which helps you in reading the small text too. Long press Home for Screenshot: In older Andriod version it was difficult to hold both Volume Up/Down and Power Button to take the screenshot, but in Andriod P, Google makes thing easier by just long-press the Power button where you can get the option to take screenshot along Power Off, Restart options which is smart. Dark Theme: Android P features a smart option to manually change from Dark mode and light mode according to your preference, earlier which was adopted automatic functions to change between the different modes based on your saved wallpaper. this option can be enabled in the Advance display setting. Pair up to 5 Bluetooth Devices: In Andriod Oreo, you had the option to connect two Bluetooth devices at Once, But surprisingly In Andriod Pie, you have the option to connect 5 different Bluetooth devices simultaneously without any problem and it works fine. this option is mandated because all media devices are getting wireless. If you have any doubts feel free to comment below I’ll reply you. If you think this article is helpful then share with your friends across all social media. Next What is eSIM and How it Works? RealMe 2 Pro Killer Specs!! What is eSIM and How it Works? 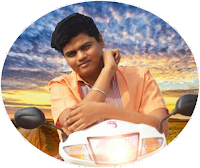 I’m the founder of MobileVsLaptop.com and I loves to post articles about all happening in Technology field World widely and also shares some video from YouTube Channel. I'm the only person who runs this website and lives in Mysore, who to be a self dependent person. As an author, I am trying my best to improve this platform day by day. I'm very active over media, especially Facebook and Twitter which help him stay updated with the latest happenings on the internet world.